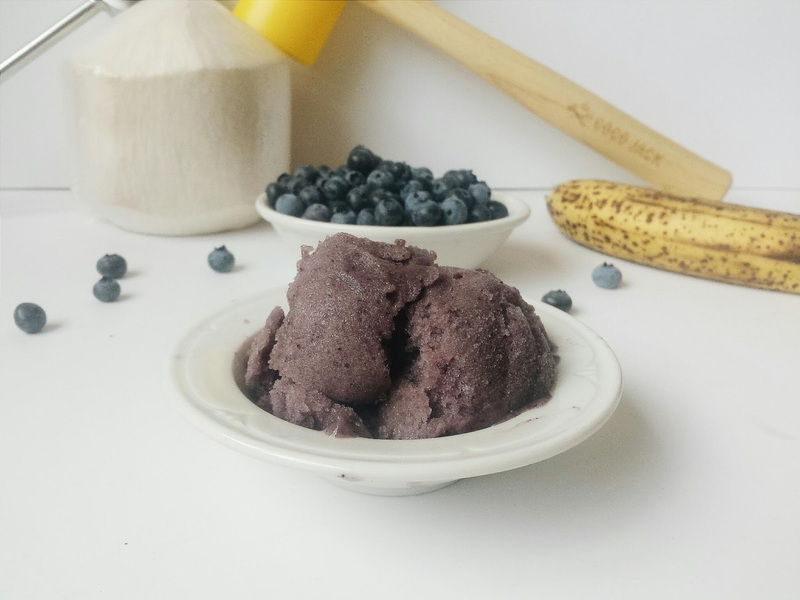 1) Take the blueberries, frozen bananas, and young coconut meat and place into a blender. 2) Pulse blender and slowly add coconut water a little at a time to help mix. 3) Blend until thick and smooth. Place in a container and place in freezer for at least 6 hours. This is perfect for a hot summer day. 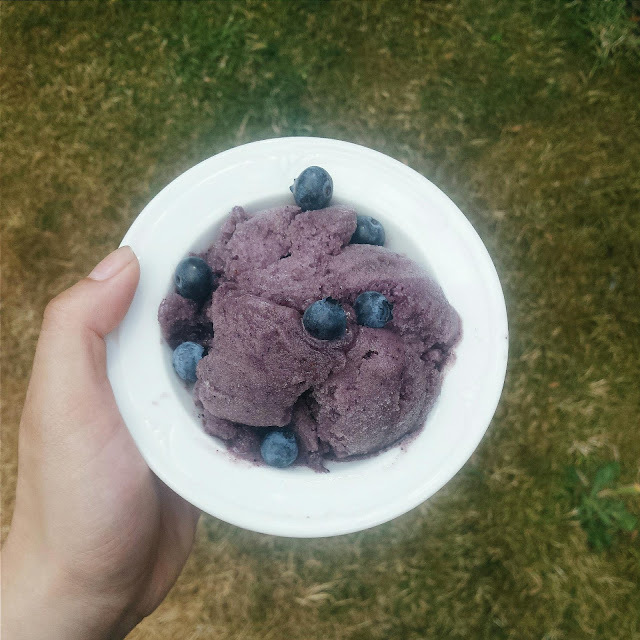 It has all the sweetness and creaminess of regular ice cream but without the fatty calories and added sugars. This tastes amazing but is good for you. 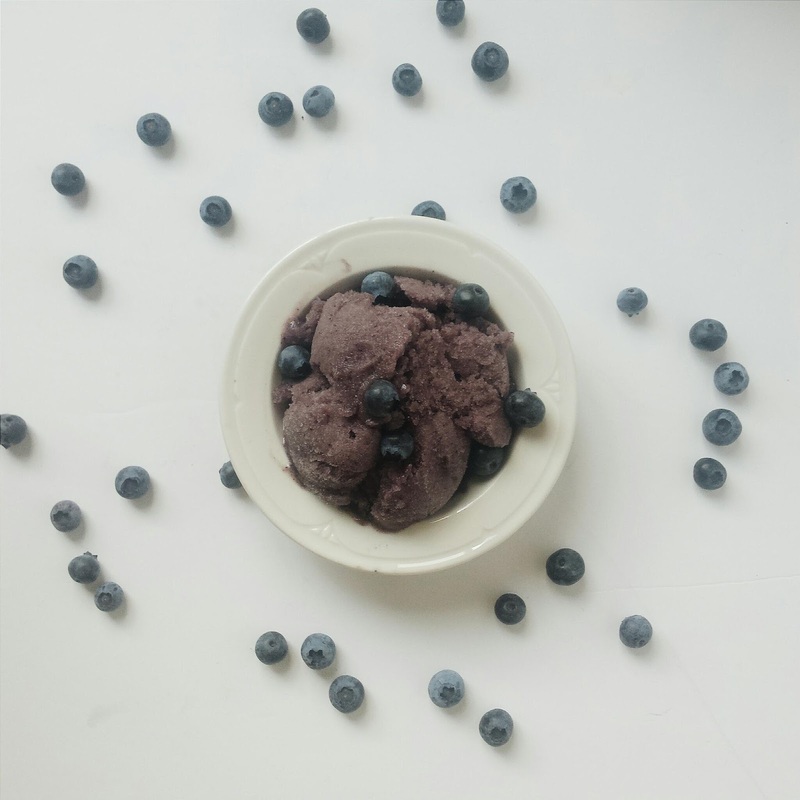 You can add more or less blueberries or even freeze them ahead of time too. Feel free to add any other berries too such as raspberries or blueberries and play around with the flavor combo! Readers, have you ever had 'nice' cream before? 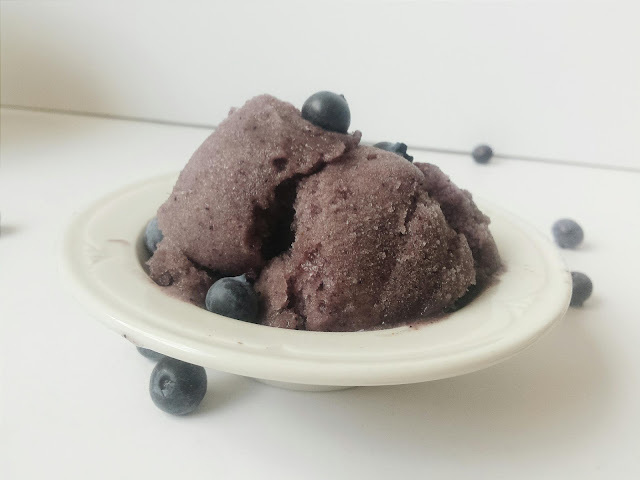 What other healthy frozen treats have you had? Let me know!